The Travis County Commissioners Court voted unanimously on Tuesday, to bail on its legal challenge against the state’s first artificial surf park. After a relatively short executive session during their regular weekly meeting, the members of the court returned to the seats on the dais and supported Commissioner Margaret Gómez’s motion to non-suit NLand Surf Park. 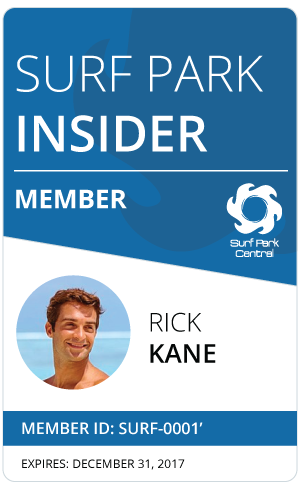 The park features an 11-million-gallon wave pool that produces consistent waves that customers can surf on without ever leaving the comfort of the county. The court voted to authorize the lawsuit against the park’s owners back in the summer of 2016. Both the county and the Texas Department of State Health Services held that the park’s lagoon merited the regulations of legally defined pools, a position that NLand disputed. Despite the legal contretemps, the county last October agreed to a compromise that let the surf park open in exchange for a stricter water quality monitoring program. In the ensuing months, the 85th Texas Legislature met and cleaned up the murky part of the statute at the heart of the disagreement. State Rep. Senfronia Thompson (D-Houston) authored House Bill 1468, which passed both the House and Senate by wide margins before Gov. Greg Abbott put his signature on it in June. The new law legally defines an “artificial swimming lagoon” as any recreational, man-made body of water larger than 20,000 square feet (1,858 square meters) of surface area. After the vote, County Judge Sarah Eckhardt again insisted that the county’s lawsuit was merely filed in order to seek legal clarity in the face of new technology. And while she herself has not been out to the new surf park, she did note that her chief of staff, Peter Einhorn, who went to college in Southern California, has been several times.